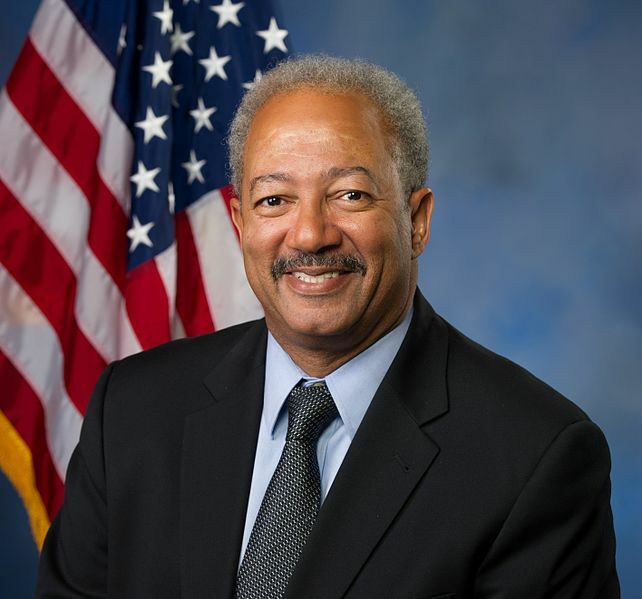 A federal jury sitting in Philadelphia found Congressman Chaka Fattah Sr., 59, guilty of all charges against him. Fattah and three of his four associates were found guilty of taking part in a racketeering conspiracy involving several schemes that were intended to further their political and financial interests by misappropriating federal, charitable and campaign funds, among other schemes. Fattah, Robert Brand, 70, of Philadelphia; Karen Nicholas, 58, of Williamstown, New Jersey; and Herbert Vederman, 70, of Palm Beach, Florida, were found guilty of participating in a racketeering conspiracy. Fattah was also found guilty of conspiracy to commit bribery, bribery, conspiracy to commit wire fraud, conspiracy to commit honest services fraud, mail fraud, money laundering conspiracy, money laundering, bank fraud, false statements to a financial institution, six counts of mail fraud and five counts of falsification of records. Vederman was also convicted of conspiracy to commit bribery, bribery, bank fraud, making false statements to the Credit Union Mortgage Association, falsification of records and two counts of money laundering. Brand was also convicted of conspiracy to commit wire fraud. Nicholas was also convicted of conspiracy to commit wire fraud, two counts of wire fraud and two counts of falsification of records. Bonnie Bowser, 60, of Philadelphia, was acquitted of racketeering conspiracy but convicted of conspiracy to commit bribery, bank fraud, making false statements to the Credit Union Mortgage Association, falsification of records and money laundering. U.S. District Court Judge Harvey Bartle III of the Eastern District of Pennsylvania scheduled sentencing hearings for Oct. 4, 2016, for Fattah, Vederman and Brand; and Oct. 5, 2016, for Nicholas and Bowser. Assistant Attorney General Leslie R. Caldwell of the Justice Department’s Criminal Division, U.S. Attorney Zane David Memeger of the Eastern District of Pennsylvania, Special Agent in Charge William F. Sweeney Jr. of the FBI’s Philadelphia Division and Special Agent in Charge Akeia Conner of the Internal Revenue Service-Criminal Investigation (IRS-CI) Philadelphia Field Office announced today’s verdict. “Convictions, like the one returned against these five defendants today, send a loud and clear message that people who willfully defy the law will be fully investigated, prosecuted and subjected to the full punishment of the law for their actions,” said Special Agent in Charge Conner. According to the evidence presented at trial, Fattah and certain associates borrowed $1 million from a wealthy supporter for his failed 2007 campaign for mayor of Philadelphia, and disguised the funds as a loan to a consulting company. After he lost the election, Fattah returned to the donor $400,000 that the campaign had not used and arranged for Educational Advancement Alliance (EAA), a non-profit entity that Fattah founded and controlled, to repay the remaining $600,000 using charitable and federal grant funds that passed through two other companies, including one run by Brand. To conceal the contribution and repayment scheme, the defendants and others created sham contracts and made false entries in accounting records, tax returns and campaign finance disclosure statements. Following his defeat, Fattah also sought to extinguish approximately $130,000 in campaign debt owed to a political consultant by agreeing to arrange for the award of federal grant funds to the consultant. Fattah directed the consultant to apply for a $15 million grant (which ultimately he did not receive) on behalf of a then-non-existent non-profit entity. In exchange for Fattah’s efforts to arrange the award, the consultant agreed to forgive the campaign debt. In addition, Fattah misappropriated funds from his mayoral and congressional campaigns to repay his son’s student loan debt. To execute the scheme, Fattah arranged for his campaigns to make payments to a political consulting company, which funds the company then used to lessen Fattah’s son’s student loan debt. Between 2007 and 2011, the consultant made 34 successful loan payments on behalf of Fattah’s son, totaling approximately $23,000. Beginning in 2008, Fattah communicated with individuals in the legislative and executive branches in an effort to secure for Vederman an ambassadorship or an appointment to the U.S. Trade Commission. In exchange, Vederman provided money and other items of value to Fattah. As part of this scheme, the defendants sought to conceal an $18,000 bribe payment from Vederman to Fattah by disguising it as a payment for a sham car sale. Nicholas was found guilty of obtaining $50,000 in federal grant funds that she falsely claimed would be used by EAA to support a conference on higher education. Instead, Nicholas used the grant funds to pay $20,000 to a political consultant, $10,000 to her attorney and write several checks to herself from EAA’s operating account. The FBI and IRS-CI investigated the case. The Justice Department’s Office of the Inspector General, the NASA Office of Inspector General and the Department of Commerce’s Office of Inspector General. Assistant U.S. Attorney Paul L. Gray of the Eastern District of Pennsylvania and Trial Attorneys Eric L. Gibson and Jonathan Kravis of the Criminal Division’s Public Integrity Section are prosecuting the case.